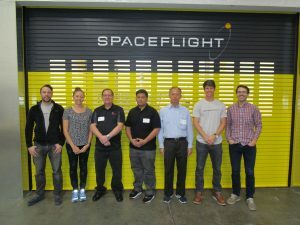 On Monday, September 24th, Jerry Buxton, NØJY, AMSAT Vice-President Engineering, delivered and performed the integration of AMSAT’s Fox-1Cliff CubeSat in preparation for launch. 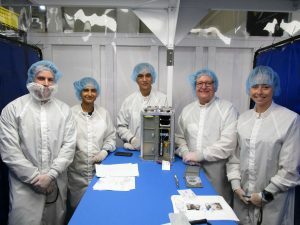 Unlike AO-85 and AO-91, AMSAT purchased a commercial launch for Fox-1Cliff. 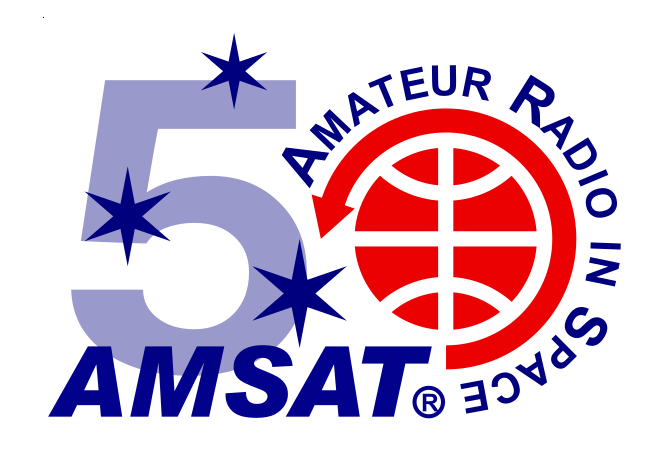 Please consider a donation to help replenish the coffers for GOLF and other future AMSAT projects! Because only one uplink frequency can be active at a time, the use of the Mode-L uplink will be limited to experimental periods announced in advance. Fox-1Cliff carries the flight spare of the AO-85 Vanderbilt University Low Energy Proton (LEP) radiation experiment, and the standard Fox-1 Penn State University–Erie gyroscope experiment. Virginia Tech provided a VGA camera which is the same as AO-92 but will provide images at a higher 640 x 480 resolution. These non-SSTV images will be decoded in the FoxTelem software. 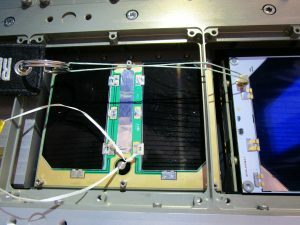 Fox-1Cliff, unlike the other three Fox-1 FM spacecraft, does not have an active AFC on the uplinks. Fox-1Cliff’s Subaudible Telemetry (low-speed telemetry) will be the same as for AO-85, AO-91, and AO-92. It will be supported by the same FoxTelem software already released. As with AO-92, a high-speed mode will be used to support the Virginia Tech VGA camera experiment. 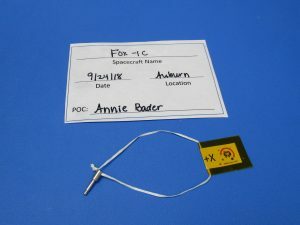 The Fox-1Cliff Remove Before Flight Pin after its final removal for the mission. This mode will be active for 40 minutes by ground command before reverting to standard U/v transponder voice operation. Fox-1Cliff is named in honor of long-time AMSAT member, contributor, and benefactor Cliff Buttschardt, K7RR (SK), who passed away in 2016. 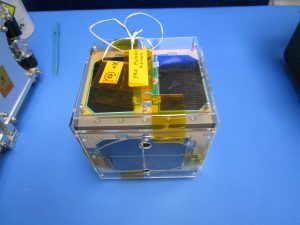 Cliff’s contributions to AMSAT and other amateur satellite programs, including serving as an adviser during the initial development of the CubeSat specification at California Polytechnic State University, earned him the Lifetime Achievement Award from Project OSCAR in 2006.